Under FORMS Tab: Complete the Health Information form for each child. Review and update your phone and email information (Guardian1 and Guardian2). Provide at least two Emergency Contacts with phone numbers. The Emergency Contact should be a neighbor or nearby relative who will assume temporary care of your child if you cannot be reached. The Emergency Contact SHOULD NOT be your doctor. In the event that your child will be absent or late to school, you must call Eastlake School's Child Safe voice mail at (973) 428-7583 ext. 1 and leave a message. This call can be made at any time prior to 9:00am on the day of the absence. If the illness is flu-like (e.g. fever of 100F or greater with sore throat or cough please indicate this information in detail. If you know in advance that your child will be out more than one day, please leave the exact length of absence on the voice mail. If you request your child's homework, it will be available at the main office after 2:30PM. It is your responsibility to keep the school informed of reliable phone numbers so that we can quickly reach you or your designee in an emergency situation. Please keep us updated throughout the school year of any changes to your child's CONTACTS in Genesis Parent Access. A written note is needed after any absence and must be sent on the day the child returns to school. Some instances require a physician's note clearing the child to return. Your cooperation is vital to ensure that the Child Safe Program works. Thank you for your help. All new students entering the Parsippany-Troy Hills School District are required to have a physical examination. Click on the appropriate title to download the physical form for the physician to complete. Make a copy of the form to keep for your own records before sending the original completed form to the School Nurse. 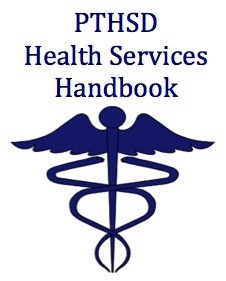 If your child receives any immunizations throughout the school year, please send a copy of the updated record to the School Nurse. This will enable the Nurse to maintain accurate health records for your child. The NJ Department of Health and Senior Services has amended the immunization requirements for all students born after January 1, 1997 and entering the 6th grade on or after September 1, 2008. Students will now be required to receive one dose of Tdap (Tetanus, diphtheria, acellular pertussis) given no earlier than the 10th birthday and one dose of a meningococcal containing vaccine (meningitis) such as the medically-preferred meningococcal conjugate vaccine. Written proof of vaccination must be provided to the school nurse. As per state guidelines, failure to provide this information will exclude your child from school until vaccines are completed and proof presented. Click on the above heading to read the requirements for entry into Grade 6. If it is necessary for your child to take medication in school, please be aware that the BOARD of EDUCATION has a strict policy in place that includes both prescription and over-the-counter/non-prescription medications. For administration of any medication in school, your doctor must complete the school the school medication form available below. Please contact me with any questions. Have your child's physician complete the above Medication Authorization form. Parents must bring in the medication in its original container. Students are not permitted to carry medication on them. Click on the Medication Policy heading for further information. Yearly updates are required. If your child is diagnosed with a Seizure disorder, the physician must complete the Seizure Action Plan. Yearly updates are required. Parents must complete the Parent Questionnaire. Click on the headings to download the appropriate form. For more information, please go to http://www.njfamilycare.org or call (800)701-0710.